Tanvi Azmi as Maa Saheb was extremely intimidating it was good to see her in such a different avatar. Tabu as a shrewd Inspector General was above average. Shefali Shah as the super elite, classy mother did a fine job. Her role had scope to show varied emotions, which she could have played better. 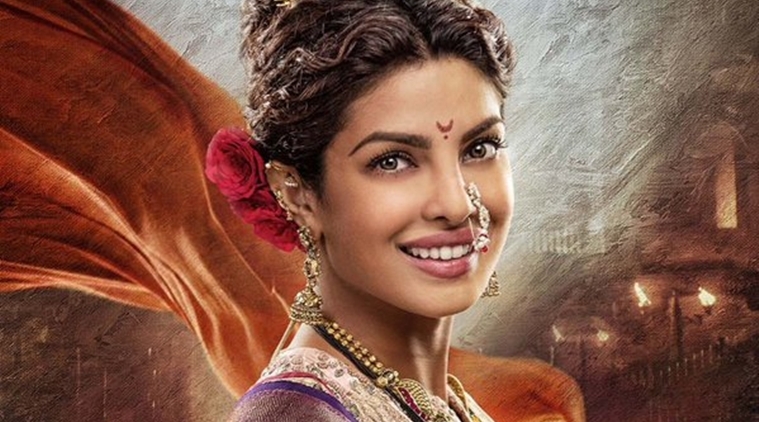 Priyanka Chopra as Kashibai looked authentic marathi mulgi. Expressions of Priyanka completely stood out - Be it dancing on Pinga, taunt in her tone in her conversation with Bajirao, hatred in her conversation with Mastani and dichotomy in her decisions between what is good for Kashibai Vs what is morally right as Peshwain? Congrats, Priyanka for winning the Best Actress award in a supporting role. Deepak Dobriyal has a wonderful comic timing and he gagged us all in TWMR. Sanjay Mishra is a learned actor and was impressive in his limited role of a helpless father in Masaan and Dum Laga ke Haishaa. In Bajrangi Bhaijaan, Nawaz was brought in towards 2nd half which have him limited screen time but he infused energy into the film at right time. 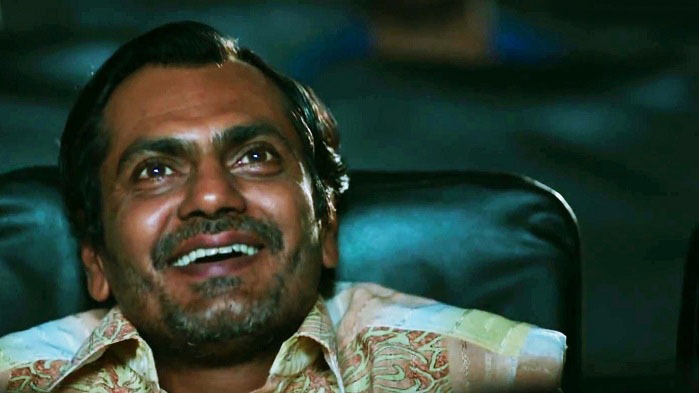 But, acting prowess of Nawazuddin Siddiqui in Badlapur was class apart. I loved the shrewdness of Nawaz when he talked to Inspector (Kumud Mishra) or his passion of a love struck Romeo during his scenes with Huma Qureshi. He has done such roles of poor-guy-getting-beaten-up umpteenth times and have mastered it by now. Congrats, Nawaz for winning the Best Actor award in a supporting role for Badlapur. Anushka Sharma was impressive in her intense, strong character with admirable conviction in NH10. Deepika Padukone for once was fantastic in Bajirao Mastani, be it her sword fighting, skillful kathak dance, anger on her face when she is slaying enemies and her fearless face when she counters arguments of her ill-wishers. Radhika Apte effortlessly transitions from a practical modern women in Hunterr to an innocent village damsel in Maanjhi. If there is one thing Dum Laga Ke Haishaa would be ever remembered for, then it would be for lead actress Bhumi Pednekar. No amount of words can describe the brilliance of this actress. She is impressive in all the areas be it her expressions, dialogue delivery or immersing herself in the role. 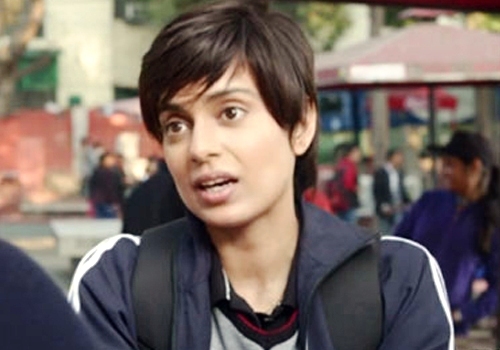 Kangana Ranaut left me spellbound with the character of Kusum "Datto" in Tanu Weds Manu Returns. There is a stark contrast between 2 characters yet Kangana graciously exhibited both roles with panache. Be it the look, haryanvi accent or mannerism of characters, Kangana left no stone unturned. It was indeed a tough choice to choose between Kangana and Bhumi. We at Bollyreviewsnow award Bhumi Pednekar as the Best debut actress award and Kangana Ranaut as the Best Actress in a leading role. Off late Amitji’s roles have been very subdued and I have been missing that persona of Amitabh Bachchan which exuded confidence and who could carry off his arrogance with a poise. I was thrilled to see that angry young man in Shamitabh. In Piku, Amitji played the role of an extremely irritating father. As anyone would have expected, he played this role to perfection with a constipated look and eyeballs bulging out of sockets. Ranbir Kapoor handled his highly ambiguous characterization very well in Tamasha. Alas, his role was highly confusing for which I won't blame the actor. Gulshan Devaiah was truly amazing as the Mandar Vasu in Hunterrr. You'll see his different shades as "Confident Vaasu" as well as "Nervous Fiancee". Confidence oozing out of every pore of his body, demeanor of a Peshwa leader, stern face of a warrior, authentic marathi accent and deft wrists holding his sword. I almost got goosebumps witnessing brilliance of Ranveer Singh in the Bajirao Mastani. He didn't act like a Peshwa, he became a Peshwa for Bajirao Mastani. 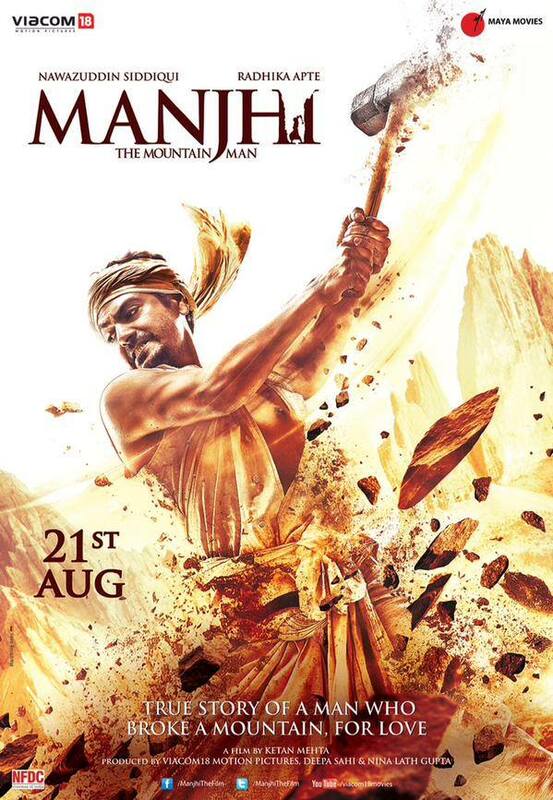 I have always appreciated work of Nawazuddin Siddiqui but Manjhi was the first time that he has left me awestruck. By far, one of the best work done by him till date. From a romantic fun loving guy to an adamant gutsy old man. What variation, what emotions! Kudos to Nawaz for such stupendous performance and Congrats for winning the Best Actor award in a leading role. Manjhi could have easily veered into the territory of boring documentaries. It required the vision and expertise of an able director like Ketan Mehta to tell that compelling story infused with emotions and laced with the petals of romance. Shoojit Sircar kept the mood of Piku subtle without any dramatically overwhelming melodrama. Detective Byomkesh Bakshy had a very gripping but complex story which is the highlight of this film. I am glad that this movie was in able hands of very skilled Dibakar Banerjee. Shamitabh was a brave attempt by Director R Balki to present a fresh concept to Bollywood audience who have gone habitual to rotten ideas. Salute to Balki for such a brilliant direction, script and screenplay. Bajirao Mastani was a cherished project of Sanjay Leela Bhansali, who left no leaf unturned to make it a grand success. SLB was not only the producer and director but also composed the music for this film. He didn't shy away from making his actors cry and curse until he got what he wanted from them. 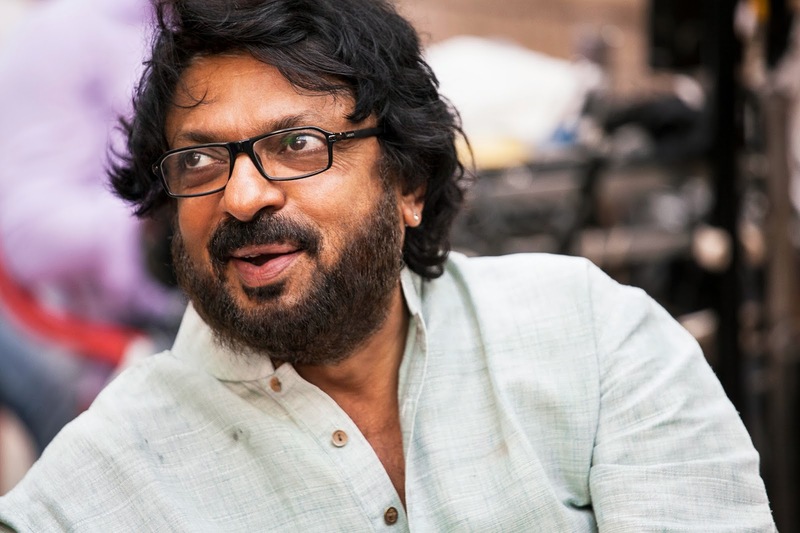 Congratulations, Sanjay Leela Bhansali for winning the Best Director Award for 2015. Revenge is a dish best serve cold. Plot of Badlapur was based on this statement, which was made famous by Don Corleone in Godfather. All the characters had a darker side and audience empathized with as well as hated every character as the film progressed. If there was a movie which made me laugh in a long time, it was Hunterrr. A bold attempt by Phantom Films, known to make offbeat cinema with a growing cult following. Dum Laga ke Haisha reminded us of clean family movies made by Hrishikesh Mukherjee. It was a light and realistic film minus all the melodrama, tears and melancholy. Bajirao Mastani was a historic romantic colorful saga which invoked multitude of emotions as each crease of story unfolded to offer something different. A great film made with fantastic Costumes, set designs, locations cinematography and visual appeal. Bahut Bada Hai Tu. Bahut Akad Hai Tohra Mein. Dekh Kaise Ukadte Hain Akad Teri. There couldn't be a better tribute to Dashrath Manjhi and showcasing the saga of his unflinching arduous mammoth dream than the film Maanjhi. Though, it is sad that it took so long for his "madness" to get recognized. I can bet that if this was not a real story, no one would have even dared to pen a fictional script like this. We Congratulate Maanjhi for winning the award of Best Film for 2015. Great article Amit bhai. Good n worthy choices.